The Dragonfly hand crafted Tiffany wall light has a deep rich array of colours from deep red, through to mauve with hints of green and gold, red and gold beaded glass jewels with a stunning dragonfly motif. A 310mm (12 inch) wide tiffany wall lamp with antique brass finish. 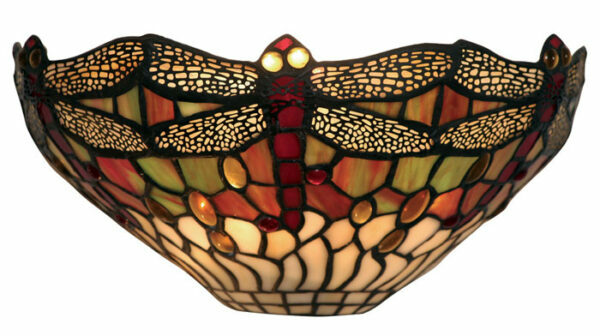 Part of the Dragonfly range of Tiffany lamps.